New York, NY – September 12th, 2008 – The Plymouth Rock Companies, a leading provider of auto insurance to New England drivers for nearly 25 years, has implemented Striata’s Secure eDocument Delivery solution. 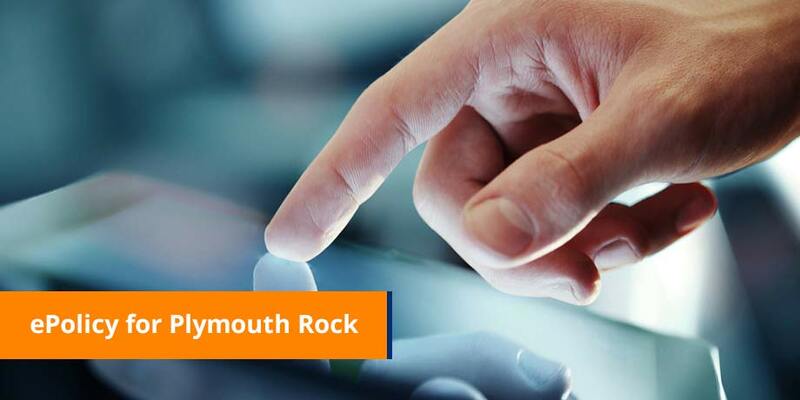 Paper policies will be replaced by delivering secure electronic documents directly to consumers, helping Plymouth Rock customers better manage their automotive obligations. Before April 2008, insurance regulations in Massachusetts dictated a uniform pricing model. Today, the newly deregulated market allows for competitive pricing, and has opened up the market to national insurance chains. In the reformed marketplace, Plymouth Rock continues to focus on customer convenience and selected Striata eDocument Delivery in order to streamline previously cumbersome paper processes. With Striata’s eDocument Delivery solution, customers receive automotive updates, such as bills, policy documents and reminders when their inspections, licenses, and registrations are due. These are delivered directly to the consumer’s email inbox. Secure eDocument Delivery also supports Plymouth Rock’s agents by helping to reduce the number of calls and requests agents receive regarding billing and policy information. In addition to enhancing the customer’s experience, The Plymouth Rock Companies will realize operating efficiencies by limiting paper production and mail distribution. eDocument Delivery allows the company to dramatically reduce costs through electronic delivery. “Plymouth Rock has a long history of identifying innovative ways to deliver outstanding service to our consumers and agents,” said Hal Belodoff, president of Plymouth Rock Assurance. “Eservices are another example of our trying to make our customers’ lives easier”. Striata North America, points to ePolicies as just one example of the cost saving services that Striata provides for insurers. With a typical insurance policy running 30 pages or more, quantifiable savings average more than $6 per policy, and significantly higher for complex commercial policies. Unlike paper policies where the expense of printing and posting is repeated with each policy change, the savings from delivering ePolicies can be realized again and again. “Insurance, with its extensive paper output, is an industry sector well suited to our eDocument Delivery solutions,” says Striata. Adds new touch points that bypass Do Not Call and Do Not Mail lists, providing valuable cross-sell opportunities. Striata eDocument success Striata provides services and strategies to some of the largest and well known insurance brands including AIG, Chubb, Arrowhead, Sierra Health, Plymouth Rock and Allianz. These clients are successfully using Striata to replace paper intensive processes with cost effective electronic document delivery that reduces costs and creates market differentiation.